A lot of people have a penchant for antique furniture and the most popular are the English furniture, particularly 18th century English furniture. The 18th century is where the bureau developed mirrored doors that are often found inside cabinets or above writing flaps. This mirroring reflected light onto writing surfaces serve a practical purposes as well as decorative. English furniture also welcomed newly-evolved chairs as these changed dramatically from square shapes into a more curved and rounded effect. The backs of the chairs have moulded frames and within there is a shaped vertical piece and the seats are uplostered and frames. If you look closely at the legs, you will notice that they are curved or comes in the form that resembles an “S” in a very delicate manner. Aside from this wonderful evolution of English furniture, the fashion in materials have evolved into something more as well. 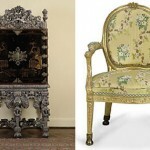 Also, there is the French rococo styles which influenced English furniture. Rococo furniture are lighter and more elegant than Baroque French style and it incorporates decorative shapes such as shells, flowers, foliage and scrolls. In addition to this, the Far Eastern styles have become fashionable and some of the furniture bear designs such as pagodas and birds that are only originally seen on items of porcelain. No one can deny the beauty of English furniture and how much it evolved back in the days. In fact, such furniture are very visible in old homes and mansions in different countries. Some people also love mixing modern furniture with English furniture. The combination brings classiness, elegance and at the same time contemporary with a touch of antiquity. Tea tables are very important pieces in English furniture. Englishmen are famous for their tasty teas and their love of teas. There is the tipod table with a circular top that is intended for serving tea. The top of this table can be folded down for easy storage when not in use and was often highly decorated, shaped and carved with elegant cabriole legs. The love for English furniture is increasing. Everyone who wants to make the interiors of their homes elegant and classy resort to purchasing such furniture as it clearly defines the beauty of the 18th century and the beauty of English furniture that cannot be found in other antique furniture. This entry was posted in English Antiques on October 3, 2011 by FindItOnline.